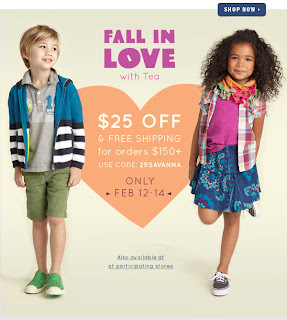 Cheap Mama Chick: Tea Collection- $25 Off + Free Shipping! Tea Collection is offering an extra$25 off orders $150+ and free shipping (HERE) with promo code 25SAVANNA. Now's your chance to stock up on comfortable and stylish clothes from Tea! 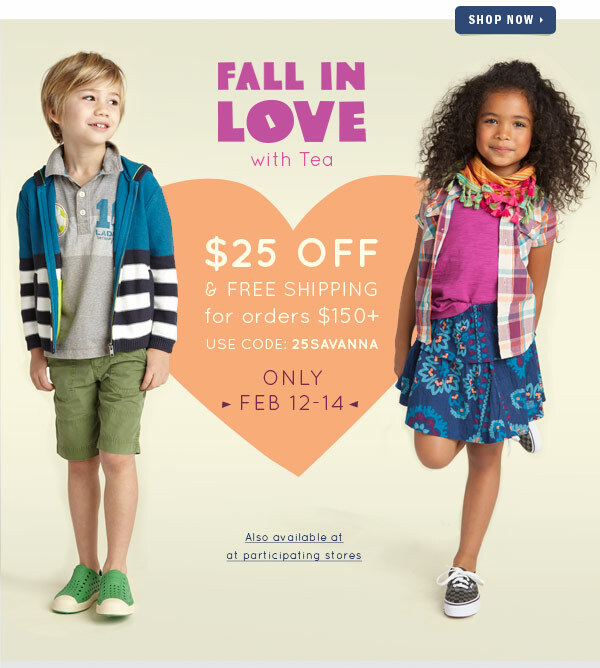 Hurry, don't miss your chance to take advantage of this great sale from Tea Collection because this sale ends on 02/14! Happy Shopping!